Care home top-up fees: Do you really have to pay? Care to be Different > Articles > Care fees > Care home top-up fees: Do you really have to pay? Who pays for care when someone is Sectioned? Can CCGs overturn NHS Continuing Healthcare eligibility? The report revealed that many care home top-up fees should not be charged at all. It also shows that in many casers local authorities should be meeting the full costs of care. Top-up fees are required only when the person needing care or their family have specifically requested more expensive accommodation. They should not be charged just because a care home costs more than the local authority/council is willing to pay. Care home top-up fees should only be paid by relatives who are able and willing to pay them. Local authorities are responsible for top-up arrangements. However, many such arrangements are made between a care home and a relative – with the local authority out of the picture. Often local authorities fail to direct people towards independent advice; they also fail to explain a person’s right before top-up contracts are signed. Many local authorities are in breach of the Choice of Accommodation Directions (LAC(2004)20. These Directions prevent local authorities/councils from asking for top-up fees as a blanket policy. If a relative cannot pay third party top-up fees, the local authority is responsible in full for the full cost of care. These are just some of the many important points that come out of the report. It also names specific councils/local authorities and highlights the degree to which they are ignoring their responsibility towards relatives – and breaking national guidance on third party top-up fees. They should only be charged if a person is receiving a genuine upgrade in the services they’re receiving. The family must give informed consent before any top-up fees are charged. They are the exception – not the general rule. They should not be requested from families to plug the gap in local authority funding. One final point – many families are told to pay top up fees before their relative has been assessed for full NHS Continuing Healthcare funding. This is completely the wrong way round. Read more about care fees and NHS Continuing Healthcare. What’s your experience with top-up fees? My 90 year old mother recently had to be moved into a local care home as she was unable to continue in her own council flat. within 3 weeks of her moving in this home closed ( we were aware this would happen ) and all residents moved to a brand new facility just a mile or so away – new build , very nice etc . Since moving in we are now faced with a top up fee of £ 300 per week ! The home charges over £ 800 per week. We cannot afford this – who has £300 plus per week spare ? After a financial assessment the council are adamant we are liable for the top up and there is no way around that it seems to me. We are now faced with moving a 90 year old , again , into somewhere else we do not know where yet . My brother and I are really upset and annoyed at the lack of options given to us and frankly the lack of support from social services and social worker who when I asked about other homes in the vicinity and could we be supplied with a list , told us ” oh no you will have to do that for yourself “. I was only asking for some guidance after all. Are there any circumstances where she could stay put as moving her again would be detrimental to her well being I feel , and extremely upsetting as her friends are in her current place too and I feel so guilty having to uproot her from her surroundings again . Please help . My husband is 97 has dementia and has been in a care home since April this year. He originally went in for respite care as I had looked after him alone for the previous three years and I desperately needed a break. He has a catheter in, has prostate cancer, is incontinent and has trouble walking. After his initial respite care he was moved into Residential care where he stayed until September this year. At this time he was taken into hospital with a heart beat way off the chart, fluid in his chest cavity and very low oxygen levels. Because the hospital was finding it difficult to lower his heart rate they decided to give him a cat scan. This revealed that his prostate cancer had spread extensively through his body into his bones. The doctor described him as very poorly and told me, when I asked, what the prognosis was and he replied, ‘six months, but definitely not a year. Once his heart rate and oxygen levels had been stabilized he returned to the sick-bay at the care home. He can do nothing for himself. He has to be washed, shaved and dressed All his food is sieved and he has to be fed. The district council have been paying the fees since he returned from hospital. So he needed a review. Two people came to see him, a nurse and a social worker. (This is the first time I had ever set eyes on a social worker). They handed me a form which they went through between themselves, deciding whether situations were moderate , severe or whatever. They were alone with him for all of ten minute afterwards. The outcome was that between them they didn’t think he was ill enough to have N H continuous funding. The Council would pay for nursing care leaving me to pay for the room. We have no savings, we live off our pensions. How on earth am I expected to pay nearly six hundred pounds a week for a room? Exactly how ill and dependent do you have to be to get NHS CHC Funding? nurse. Contact Head of Adult Care at LA and request a SW who a. know the patient b. is trained and experienced reassesses this immediately. My Aunt has been in Residential care for about 5 years now and is entirely self-funding. She has deteriated over time however and now needs nursing care but her current home doesn’t have any free nursing beds. The trust want to move her to another home however because we want to keep her in the same town as she has friends who visit her, the two they have suggested both have top-up fees. Although she has plenty of savings (more than myself and my two sisters combined) the Trust say we have to pay the top-up fees? make any payments towards meeting their assessed needs. 2018 framework. My Mum has just been awarded NHS Continuing Healthcare (CHC) which will be reviewed in 3 months. The problem I have is that the local CCG do not always pay all the nursing home fees, there is currently a £150 a week top up fee called an amenity charge, this is supposed to cover a newspaper every day and hairdresser once a week (which hardly ever happens) surely this is illegal as she has been awarded full funding. I thought that it was illegal to top up CHC funding but am told by my local CCG that they have contracts with nursing homes and pay an amount agreed with each company so if they pay £650 or £850 Nursing homes a week and the difference is a top up of hundreds of pounds a week that is called an amenity charge Which needs to be paid by family members. Surely this is illegal and unfair. We have been paying a top up fee of £150 a week even though mum has been funded by NHS CHC since being discharged to assess by NHS in October 2017. I wanted to move my mum to another care home which would be better for her but which is more expensive and because her home isn’t sold yet and she isn’t socially funded care they will not help by putting a derferred payment on her property to cover the over exaggerated “amenity charge” illegal top ups. I’m having this problem with my mum’s nursing home. She has been there for three years now on fully funded NHS Continuing Healthcare (CHC). She is 96, registered blind, very deaf and in a wheelchair. Last year I started getting invoices “monthly invoice” for over £500. I told them no – you can’t op up NHS CHC and to send the invoices to the CCG. After about 6 invoices and my constant letters saying no, they stopped. Then he thought of another ruse this April. It is now a Non-Care Charge and Lifestyle Choice fee!! I have to pay £105 a week as its a Lifestyle choice for mum to choose to live in this home, and a further £40 a week for various items, that are not in the terms and condition as are hair and chiropody. These are items like £4 a week for a TV – mum has her own. £4 a week for animals visits. £4 a week for an occasional glass of sherry. £5 if a choir comes. £5 a week if a relative stays for lunch. And he says these charges are non -optional and must be paid . He has threatened that he will kick her out (his words) if we don’t pay up, becuase of their “Equality and diversity” policy. All these bits and bobs were included, and he says they are only for residents on NHS CHC and Local Authority Funding, who don’t pay enough. So called ‘top up’ fees cannot be demanded by the care home. The only circumstance where they may be valid is where the care is over and above the standard for which the council pay (e.g. extra large room) and then it must be agreed between the council and relatives and embedded in the council contract with the care provider. The resident’s own funds may not be used to pay towards any agreed topup. I would write to the council and copy in the care home refering to the invoices stating that you are not aware of any top up agreement in the council contract and therefore reject these invoices. Mum is on NHS Continuing Healthcare (CHC) and they pay her fees, not the local authority. I’m sure it works the same way. The care home are trying it on, but in a nasty way. I’ve written another letter to them and the next one will be from my solicitor at great cost! I spoke to the CCG and they were most unhelpful. Mum is in exactly the same room she was in when she went to the home. No upgrade in services at all. Update on Mum. The home gave her 28 days notice to leave in September. I met with the home manager when I realised all their figures were wrong. They had “ommitted” to add in an increase they got from NHS in January so were asking me for too much. I have still refused to pay. They now want £80 per week instead of £150. It is legal for a care home to ask for additional payments for “amenity charges” or the same, but not as a top-up fee. The NHS were very clear they would not pay these charges and it is common practice, because they don’t pay the homes enough to cover costs. To ask mum to pay for items she does not receive or are her own, is awful. I was told very clearly by the finance manager that they are a private business and can charge what they like which I have in writing from him. Mum is so frail , just had her 97th birthday. Its tantamount to blackmail to threaten to evict her. She is settled there and upheaval would kill her – and they know it. My take would be two fold insist they take mum to court (necessary as eviction without would be a legal minefield) Put CCG and LA on notice that the defence would be Coughlan Grogan et al and that you would seek to “join” CCG and LA in any such action. Worked for us they ran for the hills. Thanks for the reply, Richard. Firstly, when mum was given the 28 days notice I called safeguarding and they wouldn’t even speak to me. Nothing to do with them. I couldn’t get past the receptionist who was relaying my problem to someone and relaying their answers back. CCG just said we won’t pay any more money – you have to to find these “hospitality” charges, nothing to do with them. They also told me that one of their clients had taken a care home to court and lost. The LA aren’t involved with mum in any way. What do you mean by “seek to join CCG and LA in action? This was a reply I got from the CCG saying they will not pay any more. Calling them “lifestyle choices” means the home can get away with it and the CCG don’t get involved. They simply say its not care. Another sad story Denise but it comes back for me every time, Care homes are not allowed to charge top ups directly with relatives. If there is any justification for a topup, this must be agreed between the local funding council and a relative, paid by the council to the care home and claimed back by the council from the relative. The care contract is between the council and the care home only. They don’t call them “top-ups”. Its “Lifestyle choices” “Amenity charge” or the like – thats how the care homes get away with it. Not all CCG’s work in this fashion, but unfortunately the one I am tied to does. However, I got a link from Care to be Different today – THANK YOU!! – “Competition and Markets Authority (CMA) – has just published new guidance on 16th November 2018 to ensure care homes understand and comply with their responsibilities under consumer law. The guidance, “Care homes: consumer law advice for providers”, gives greater protection for residents in care, and includes a helpful section dealing with payment of top-up fees.” This really gives me hope as it covers so many things I have been fighting against. Last but not least dont pay insist on being taken to court copy all parties in CCG and LA advising that you will seek to join them in any ensuing legal action. Hello my Auntie has been in a care home since September last year costing £650 a week. We have been funding it through her pensions and rental income from her property . The council have taken a charge on the property as the shortfall of the care home fees are made by the council which they will then recoup from the sale of her house. (deferred payment). I have also been paying a top up fee of £120 a week. She has now been awarded Continuing Healthcare but the care home have told me that I will still have top up fees to pay but not as much as I have been paying. Does this sound correct please ? Hi, My 94 year old Grand Mother has been living in a council funded warden aided complex for 10 years. She had 4 carers council funded, calling in every day to help with feeding, toilet etc. She was diagnosed with dementia approx 9 years ago. She had another bad fall earlier this year and ended up in hospital with broken bones. It was then decided that she needed to go into a residential home. The care home is in a different council area to that of which she has been living, but the council agreed to pay costs for the residential home, if the family paid a top up fee. It started off at £100 per week but was reduced to £40 a week as only two of her siblings were prepared to chip in. She has no ‘special’ facilities in the home, all rooms are the same, no special diet etc. Are my parents and my Aunt and Uncle who are all pensioners obliged to pay this top up? Hi, we have been successful with our Continuing Healthcare application for Mum’s care, we have identified a couple of care homes who are advising their fees are above the ‘Cap’ the CCG are prepared to pay and somebody will have to make up the difference (anywhere between £170 – £250 per week). First question is are they allowed to charge top up fees ? They are being described in many different terms such as ‘Environmental’ and ‘Hospitality’ fees. CCG have advised they meet their legal obligations with the ‘Capped’ fee they will pay and they are not liable or have any control over what private homes charge. I’m hopeful of a compromise but at the moment all parties are refusing to budge on their position. Any help and advice greatly appreciated. Did you ever find out the answer to this query, I am currently in the same position regarding top up fees which I thought was illegal if you are awarded full NHS Continuing Healthcare funding? It’s likely not a top up fee in regard to care….. If any of it is being used that way then it should not be asked for. As for a newspaper and a monthly hair cut costing over 100 quid a week, I would itemise the services actually provided and then pay for only those. The nursing home is not a cooperative and it should not expect everyone to support everyone else’s extra needs via such charges that are usually made for items and services that the resident cannot use or enjoy. My NHS Continuing Healthcare (CHC) funded FIL (Brain injury/double amputee) had a daily paper and infrequent beard trims and hair cuts and they only ever charged what they cost. My CHC funded mum’s, (Alzheimer’s), home tried the old 40 quid a week routine going back to 2010…. After a month or two when we discovered what it was supposed to cover, we told them to whistle and to invoice for actual hair cuts etc. My uncle died in care last December and left no money or savings. His last 3 months pension went towards his funeral costs and there is now client contribution debt of £1480 from his former Care Home. He has no dependents and only my mother ( aged 82 and with no savings herself) is left of his siblings. I have offered to set up a re payment plan but the home as point blankly refuse to agree one( they seem to think we have money and we dont). I have spoken to Social Services but so far they havent managed to get agreement either. Can the Care Provider refuse our offer ? we are not refusing to pay in a lump sump, we simply cannot. Can anyone offer advise please? A Griffiths, I expect that it is still all very raw and to have this going on too; you have my sympathies. However, in the last part of his life, did your uncle’s savings and assets exceed around £14,000 or so? If they did not, then I am wondering if the council was involved in his care funding. If they were not, the I would be inclined to ask them why not. A resident in a care home is entitled to financial assistance once their savings and assets reach that approximate figure….. In fact action should have been taken when the sum reached about £23,000 when only a certain sum could be taken each week, in addition to his pension and half of any private pension. Thank you for the information . My uncle didn’t have any savings at all and his only income was a state pension . I think I will get a solicitors letter sent if the caret home refuses to enter into sensible negotiation . I would contact the council too. They should have means tested him for assistance. If the sum mentioned relates to top ups then, I would want to review the entire period in which they were paid. If the council was involved in the placement, it could be that top ups were unlawful. Assuming he left no property or other assets life insurance etc then it is up to them to sue the estate ( from what you say value £0) for any outstanding debts unless someone else had contracted to pay his care home fees. Suggest seeing citizens advice or a solicitor one off letter should put care home in the picture. Richard, good article. What infuriates me is the repetitive (we got caught), statements that people like this make………..
“The Local Government Ombudsman has issued a report about the council’s top-up fee arrangements and has made a number of recommendations, which we accept. “We will implement these carefully and have already sincerely apologised to the family involved and organised a refund of the top-up fees they have paid to date. Why do they only ever review their ‘arrangements’ after the Ombudsman is contacted…… Surely common sense and a simple look at the law in regard to a complaint is all that is required……. But of course’ the ideology and the local handbook and budgetary constraints keep getting in the way of law etc…… So how come when law is broken and money is incorrectly obtained, these people suffer less sanction than someone parking in the wrong place? Back in the day when councillors could get surcharged for illegal spending …. This is very interesting. I am in process of finding care home for Mum and I asked for the homes in the local borough that did not have any top up fees, and was told there aren’t any. I have been told to look outside borough into other areas. But believe me some of the homes charging £30 or more top up are certainly not what I would call nice places. My mum spent 24 weeks in hospital. she has mobility issues, had urinary sepsis, pneumonia, died nearly 3 times, tiny bladder, has a catheter, now can’t walk at all, needs bladder washes, on ng tube and has meds through that also, had 9 seizures in a day, suffered damage to her brain where stm loss comes into account, is diabetic now on insulin, is ng tubed, only 68 years old. Yet has been told she can’t get Continuing Healthcare (CHC), just will get Funded Nursing Care. I am on income support, she has no money or home etc, council can only pay a certain amount, they will now push to have her move towns as we cannot afford the £40 top up fee per week. This is disgusting. All i get told is i have to look for places that have no 3rd party top up fees, one in my town. It is awful, plus i went to see them and they can’t take her anyway as no room for her due to all she has going on. So now the council wants to force me to move my mum to another town. the same one she is in now but she wants to be back in her home town. Why can’t the council pay this £40 extra per week? Help please as today is Monday and my mum has to be out of the home she is in on Thursday due to only getting 3 weeks in there and this is due to a delay in the CHC meeting which was only last Wednesday so gave me a week to find a place. Mum only has state pension, she may get her PIP mobility back once in full time care. Please please help. Craig, it used to be the case that it was more expensive for council to move a patient to another Council Area. I wonder if threatening to do such a thing so that you could find a place without top up would be an option (Complicated though for you to travel if agreed to). There again, again, it is my understanding that the council should be taking on the entire cost (minus the means tested ability to be recharged), of the care. PIP mobility won’t help in terms of topping up because the council is working on a maximum cost per week that they will pay. As such if the means tested amount that they can recharge is increased by PIP, then they will simply add that to their rechargeable amount expected from your mum and the top up issue will still exists…….. Vicious system isn’t it? I would hope that you are appealing the NHS’s decision. I might try arguing that in the mean time the council swallow the top up until all appeals have been exhausted. There again, if funds are so low, that a lawyer is out of the question, have you tried citizen’s advice? It might be simpler to ring around the various offices in the region, seeking someone that might have dealt with these matters. Even though initially, it might cause you some hard expense bearing in mind your finances. My mother has Parkinson’s and in January she had a UTI and a bad fall. She was admitted into hospital and stayed there for 5 weeks. The hospital sent her home with once a day package of care and when this started they realised she needed 4 times a day care which they did. Within the 4 weeks of care she had 3 falls and was admitted into hospital again. The hospital told us after about three weeks she was fit to go home. Social services at the hospital were useless and did not help with anything – no care package put into place so we had to find a care home for her. The one we found cost 1100 a week for respite. Her time is running out so we are waiting for social services to assess her, the care home will not budge on the price and have said if she stays it will be 950 pound a week and the family will have to top up the amount after funding. We really need some help and don’t know what to do next. Susan, it seems only reasonable that your mother’s pension should contribute towards her full time care as long as it really is all inclusive. The council (taxpayers) are likely paying £570 or more a week and your mother contributing £181 from her pension. There is a formula used to give her an allowance (a Tariff income) for personal items which isn’t much (about £25 pw) but is deemed to be sufficient for essential toiletries, cloths and items not included in the care package. There should be a ‘Financial Assessment’ letter from the council showing how the funding has been calculated. Hi, We are looking into putting my Gran, into a care home. Social Services, have told us that she will get an allowance of £439.00 towards the price of the care home, but they are trying to push us into another one, which is the wrong end of town for my mum to visit. They say she should have a nursing home, but we want residential as she has no special needs, she will only require pallative care eventually, mum wants her close to her. The room is £570.00 a week, and we are told that we would have to pay a top up fee of £131. We have looked at 5 different homes, this one is the cheapest room. What I dont understand is why would we have to pay £131.00. I would have thought it came out of her pensions or disability allowance. Reading from some of the above, it is stating we dont have to pay top up, yet the man at the social services is saying we have to pay. We havent signed anything yet. Hope im making sense. thank you. Why are they saying nursing home? If she only has social care needs then a care home is fine surely. NB LJ Woolf in Coughlan: the vast majority of people in a nursing home should be funded by the NHS. My 94 year old mother paid full fees in a care home for 4 years. When her funds reached 23k in June 2016 I applied to the council on her behalf (with power of attorney as her son). Even though they agreed that she qualified for funding from that date, it took 9 months and countless chasing by me for the council to make a contract with the care home, during which time my mother continued to pay the full fee. The council finally paid the backlog in December 2016 to the care home, I having wrongly assumed that they would re-imburse my mother. I wrote to the care home requesting a refund of her payments for the period, less what the council letter stated she must pay from her pension. My mother died this month and the care home are now refusing to pay back all of her overpayments to her estate, stating that they need a ‘top-up’ fee of the difference between what she paid and what the council were paying. This amounts to about £6k over the 9 months. The care home have never made any written request to me for a top-up fee and although they moved her into a larger room a few months ago, it was not at her or our request and no mention was made verbally or in writing that it would be more expensive. They said at the time it would be easier for them to use the hoist. I have been assured by the council social worker that my mother MUST NOT pay any top up out of her own money. My mothers account at her death stood at £3000, not even enough to pay for her funeral. I have written today to the care home pointing out that the full repayment is due to the deceased estate. I’m not very confident that they will respond. I’ve read a lot online today about the changes to the Care Act in 2015 regarding top ups and about care homes ‘trying it on’. I’m wondering if there is an ombudsman who I can contact or any other advice you can give. Many thanks. I can now update some success. Having done more research, I used the care act to quote to the home and threatened to report them to the ombudsman if they didn’t return the over payment within seven days and we have now had a full refund from the home. During my research on-line, it became quite clear that ‘family topups’ are not allowed to be made by the resident or from funds owned by the resident as it would deplete their £23,000 allowed capital. In ‘rare cases’ where the level of care is requested to be greater than that normally supplied by a council (e.g. special room, view, meals, extra facilities) they must be negotiated with the COUNCIL and form part of the contract signed and agreed by ALL parties. In these rare circumstances the ‘family’ would pay the topup to the council and NOT the care home. In conclusion, in 99% of cases there should not be any form of ‘topup’ and the home should accept the council contract even though it may be (as in our case) nearly £200 a week less than you might pay privately. These care homes are getting too used to the over-inflated private fee and them squirm when they have to accept the council rate. They are simply trying on ‘topups’ and succeeding in an alarming number of reported cases. Don’t be intimidated by any home demanding direct topups from the family, refer them to the council and make it clear that the care act requires them to agree what they receive, only through the council contract and it is up to the council to find the funds and approach the family if they see fit, and only in exceptional circumstances. I should also add thanks to Angela Sherman in answering several other threads on this forum and confirming my own findings that ‘topups’ cannot be demanded direct by the care home, only by the council as part of an agreed contract and in exceptional circumstances. From reading a few more posts, it seems that the family requesting a move from a far to a nearer home may give the council an excuse to demand a topup if the closer home is more expensive than the far one. The family are then caught in a trap. If the fees are similar then I suggest they don’t have a case. It was interested to read your experience with a home demanding top-up fees. I’m really looking for some insight here – anything you can think of would be so appreciated. In my case – similar situation – mother 94, previously self-funding. I applied for financial assistance in Dec 2016. Two days ago the social worker telephoned to demand nearly £10,000 from me in for top-ups. He said they were back-dated payments due from August 2016 – I would need to pay £10K plus a further £210 p/week from now. (My mother was self-funding during this period.) He claimed the Social Services would refund the back-dated contribution minus her pension income. This would put her over the line and back to self-funding… Social worker won’t put this demand in writing – is asking for a meeting to organise some payment plan – but won’t name anyone who will be at this meeting. Seriously, it feels like a scam. I don’t have £10,000 and according to the Social Worker, he’s been liaising with the home over whether or not they are prepared to keep her for more than four months….! Something’s not right. Anything from your experience that you can advise? Michelle, I’m sorry to hear of your situation. From what you write, you don’t seem to have agreed a contract of council funding or have one yet in place. You should have had a letter from the council showing exactly what your mother, the council and any other funding will provide. I can only say that neither the home or the council can ‘demand’ topups whether now or backdated unless they have been agreed in a contract with both the home and resident or funder. It seems your best bet is to demand this meeting with the council and thrash out why they think a topup is payable at all, it can only be requested from the family, not the resident’s funds and only if the service provided is over and above that normally given, special large room etc. My experience is that many try it on banking on the lack of knowledge of relatives but you should know your and your mother’s rights and stick with them. Good luck. Thanks so much for your reply – I do really appreciate it. We’ve clearly been ‘played’ by Social Services and the care home in a joint venture. During this 4-5 month period the Social Worker has repeatedly claimed that, despite months of emails/tel conversations, the care home have still not decided whether or not they are willing for my mother to stay there. The demand for £10,000 clarifies why the long delay. Suddenly, and linked to the demand for back-dated top-ups – the suggestion is that she would be able to stay. Having previously asked me to look for alternative care homes, they now state that my mother shouldn’t be moved… (How poisonous is the social care/funding environment…?) We will plough on. My mum needs are complex (Dementia, Language, diet, and social needs)and this cannot be met locally, we managed to find a couple of care homes, however they are very far off and to manage her hospital visit and for us to travel to meet is exhausting, time consuming and expensive and unable to take time off which adds stress and financial burden. Can we request the council to move back to local care home? even though it does not meet her need, however, we can support as it easily manageable. Mum does not have any assets and just gets pension credit and Attendance Allowance. Can we request for additional support and move her back to local area or more expensive care home? Shailesh – the first question is has your mum been assessed for NHS Continuing Healthcare funding? 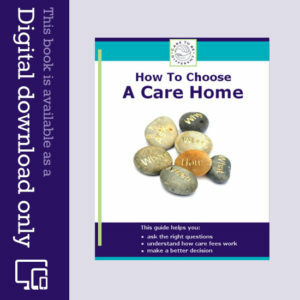 http://caretobedifferent.co.uk/how-do-you-know-if-a-continuing-healthcare-assessment-should-be-done/ Secondly, you may find this factsheet from AgeUK helpful regarding choice of care home: http://www.ageuk.org.uk/Documents/EN-GB/Factsheets/FS60_Choice_of_accommodation_care_homes_fcs.pdf?dtrk=true Remember though that top ups and means testing and money and assets relates to social care only. NHS funding is never means tested. My Nan is in a nursing home (she has dementia) close to where she has been living for a long time, but we’d like her to move closer to the family in the South of England. This means that she’d need to move to a different Local Authority, and have the funding etc. transferred. We’ve been told this is a complicated process and could take months, with no guarantee of success at the end. Nan would be happier in the new location and don’t want to leave her where she is for too long. Do you have any advice or experience you could share to make this transfer quicker / easier? Sorry, I should add that the home waived the top up fee when he moved in to his current home and we were told at the time that there were three nursing care homes and only one with a place available and if we wanted to get him in we had to act fast so we agreed and money wasn;t mentioned until much later. You should only be paying top-up fees if your father is genuinely receiving extra services for this. We’ve added 5 extra points to the article above to help further. My father is in a nursing care home and is desperate to move as he is very unhappy there. He gets funded nursing care and the council pays approximately £448 a month of which he pays £164 back as his “contribution” which is barely affordable as it is. His current home don’t charge a top up but we have been told that WE would have to pay a top up if he moved somewhere else which is impossible, my mother is also unwell and struggling and I am recently married and have bought my first home. Do we have any case to get our local council to pay the “top up” as surely keeping him in a home he is unhappy with due to extra fees is unethical? Christopher – If your father has not already been assessed for full NHS Continuing Healthcare funding, this should be done right away: http://caretobedifferent.co.uk/how-do-you-know-if-a-continuing-healthcare-assessment-should-be-done/. Many people are given Funded Nursing Care without having ben properly assessed for this first: http://caretobedifferent.co.uk/how-is-registered-nursing-care-contribution-rncc-assessed/. You cannot be forced to pay top up fees. Be sure to follow the link in the article above to Independent Age and use some of their points to argue your case. Thanks for your kind words, Steve. Be sure to read the Independent Age links in the article, too. My father has been recently turned down for CHC funding at a farcical multidisciplinary team (MDT) meeting, where they lied and hid damning evidence of my father’s behavioural records. On the plus side, I had an advocate from a specialist healthcare solicitors present and they are very confident we will win when we get to an independent panel, so hopefully will beat them in the end. My problem now is that unfortunately I haven’t got LPA and only just applying for Deputyship so I have not got access to my dad’s quite moderate savings and house and they want to move my dad out of hospital to a care home, which the MDT stipulated had to be an EMI home because of my dad’s aggressive behaviour. Social Services have said that they will pay until I get Deputyship but can only pay £560 a week towards his care so the family will have to pay any top ups, which might be quite substantial because of his need of an EMI home. Now both me and my sister have got families and mortgages so are in no position to contribute to any top up fees so i would be very grateful if someone could advise me if they have the power to demand that we pay top ups and any advice on the best thing to do next. It sounds as though you have grounds for serious complaint there, Steve – on account of how the MDT was conducted. You cannot be forced to pay top up fees. Be sure to read the links in the article if you haven’t already. Given that you already have a specialist solicitor acting for you, I would discuss this with them too and get them to fight your corner on this. In April/May 2012 our mum went into a nice care home which my sister and I chose over several, she has dementia and a bad hip, she has pensions and disability allowance but it required a £25 a week top up. It was a very stressful time mum had been deteriorating for a while tho a specialist had seen her and at 1st said it definitely wasn’t dementia, however she was living in her house, getting very distressed and though we called every day it wasn’t enough, we were all upset, sleep deprived and constantly on edge. She went into respite for a week at first but it became clear she would not be returning to her own home. We quickly selected this home and she moved in, the payments at the time, the cost of home and top up were deferred payment until the house was sold, this took the best part of a year with us having to lower the price to sell in a bad housing market. Though we signed for paying as third party, as we had the lasting power of attorney for her accounts and as the bills we got from the home were one bill for everything, the top up has always gone out of mums account. Recently we realised that the money was fast approaching the 23,000 mark it was when we approached the council and realised we have made an error, when we were told we should have been paying this separately, we were never properly aware of how this worked, why mum couldn’t and shouldn’t be funding her own accommodation as she was financially relatively well off, which neither of us were. How it stands now is we are worried sick, are bundling relevant paperwork off to the council and see what is to become of the whole sorry mess. If we have to move mum to somewhere else it will be at great detriment to her health and well being as she has fitted in there very well and knows the staff and residents. My nana was ‘encouraged’ to go into care over 2 years ago, after being assessed by social whilst in hospital with an infection. They deemed my grandad was no longer capable of providing enough care, and he chose to go into a home with her. I had nothing but praise for social at the time, who bent over backwards to find somewhere with a twin room so they could remain together, and helped me arrange her contract (my grandparents were not married so his daughter arranged his contract). Unfortunately my grandad passed away last year and my nana hit the savings cap a few months later. When I contacted social regarding funding, a top up fee was mentioned, this was the first I had heard of it. I had to provide a copy of the contract to social to prove I knew nothing, and then they started to tell me it must have been arranged with my grandad. Now I am being told a member of the family must pay the £165 per week top up for what social is calling an overly expensive home (that they arranged!) or move my dementia suffering nana somewhere new. Karen – if your mum had no children, the care home would have to find a way to get your mum to hospital, so it sounds as though they’re just trying to get out of having to do it. NHS hospital transport is also often available, so you could approach the hospital directly about this. Has your mum been assessed for NHS Continuing Healthcare funding? If not, this should be done as a priority, before anyone talks further about top ups. Top up requests should come via the local authority, should be properly costed, and they should not be random requests by care homes for more money. Also, you cannot be forced to pay them. My mum is 93 suffering from dementia and is going into a care home next week. She is deteriorating and needs 24 hour a day care, apart from this she is extremely healthy. She will self fund for approximately 6 months, she will then reach the £23,000 point. We were advised by the local authority to find a care home and make sure to ask if they took council funding. We found a care home near to us, which has been highly recommended by her GP and friends. They took Council funding. A place was arranged, we have now been told after the six months we will have to pay top-up fees of at least £560.00 a month. There are three siblings all pensioners, we can afford to do this for a while but not long term. Any suggestions? Hello – wonder if you could help me. My dad has been in a care home for just over 2 years and everything was fine. He has settled down there and comfortable, he has dementia. His state pension just covered his home fee. I can understand your concern, Steve. Has your father been assessed for NHS Continuing Healthcare funding? My wife has Alzheimers and I can no longer care for my wife so social services & the Alzheimers Society have helped me get things moving for full time care. In my area there are only a few care homes that care for people under 65 years of age and they are all private and I don’t know how much they charge. My wife’s only savings are £1650; she has a private pension of £355 a month and PIP of £139.75 a week. My worry and question is how much will the local authority pay towards her care? I hear something that they cost from £700 to £1200 a week I am not working; I finished work to care for my wife 2 years ago and only get carers allowance so I have no money towards her care and we are in rented accommodation. Can you please give me some advice – thank you. Antony – if your wife has not been assessed for NHS Continuing Healthcare funding, this should happen as a matter of priority, before anyone tells you she has to pay for her care. See the links in the responses to Carol above. Things have altered since I last commented. Mum was taken into hospital after she had two falls in 24hrs, (and I had to stay day & night with her because she was so unstable getting around. Even with a frame I was having to “shadow” walk her) and then following that she couldn’t get out of bed. When she was admitted she was assessed as being unstable to walk on her own, (and was being treated by her GP with depression) so any mention of her returning home left her in floods of tears. It was decided she needed to have respite care for two weeks. She was transferred from the hospital into a respite unit in another hospital, where she stayed for just over a week. Mum has now been placed in the residential home we were hoping she could be eventually moved to. My brother has heard from mum’s case worker who has informed him of the need to get things moving, although we were told mum was in the home for 2 weeks respite. The old story of mum’s pensions are being taken into account, the amount of funding from social services, and our “top-up fee”!!! I have been looking at this “Continuing Healthcare” package and wondered as mum is registered blind, and seems to suffer fairly frequently leg ulcers (she has another place on her leg which broke out 2 days ago, and the home are having to arrange for a nurse to come in a dress it), whether she would fit into this care package. When my brother told the case worker that he and I were not in a position to pay any “top-up”, she said that then mum would have to be moved to a home that would fit her budget. Where mum is now, is local to both our families, and mum doesn’t want to be moved miles away from any of us. This doesn’t seem too much to ask! I think both my brother and I are very worried that they would move mum away, to maybe a home that is not suitable to her needs, if we do not pay the fee. I did say if we offered to pay maybe £50.00. per week between us (we are both living only on our pensions ourselves), do they have to accept that? And if say, after a year or so if we cannot keep this up, would it mean poor mum would have to be moved elsewhere? To be perfectly honest, we are both at the end of our tether, we want the best for mum but we will struggle paying these “top up” fees. To not put a finer point on this, it has put a strain on both of our health’s and do not know how much more we can take of this. I do hope you can help, as I think we shall be expected to make a decision within the next two days! No she hasn’t. She is medically fit but has vascular dementia and has been assessed as unable to live on her own and requiring residential care home only. I doubt whether she would qualify for Continuing Healthcare at all. Anyone know the answer to this or where to go for advice? My mother was in hospital for an extended period because she could not live on her own due to dementia issues. Social services had me viewing care homes. My mother needs council funding, but those in the price bracket were so dire she would have lost the will to live. I found a nice care home but it required a 200 per week top up from me which I couldn’t even consider, this after a local authority contribution and the majority of my mothers pension. After 3 months taking up a hospital bed, the hospital agreed to place her in that care home and pay the top up until a suitable home could be found. I found another nice place which required 50 per week from me which I could consider and went on the waiting list. Six months on and that home tell me they’ve increased their fees from 450pw to 725 pw … Unbelievable. I’ve wasted six months waiting for a place. Social services now tell me my mother needs to be moved somewhere within the funding level but there’s nothing decent that will uphold her quality of life. I’m in despair once again. Where do I go from here. I’d like her to remain where she is but I can’t do 200 per week top up as she’s medically in good health and could survive many more years. I’m getting no help or advice from social services other than there’s no alternative. Has your mother been assessed for NHS Continuing Healthcare, Jane? This should happen before anyone talks about money, top ups or anything else to do with you or your mother paying the fees. Hi Angela, many thanks for your help with my previous question. Things have altered, we have now found that mum did not have the sort of money she claimed she had, in actual fact she only has in the region of £9,000.00.So now we are looking for a home where she will get help with the funding. We have been told her case is going before a board to find out how much Social Services are prepared to contribute within the next week. Mum’s case worker has thrown some figures in the air, the cost of the care home on a weekly basis, what the Social Services would pay, and the “bomb shell” what the Third Party would have to contribute! Once again, this “Third Party” would be my brother and myself! My brother said that surely mum’s pensions would make up the short fall regarding the payment of the care home, but was told no, that that had already been taken into account and was included in the figure that Social Services would pay. When we looked at these figures, (even though these were random figures and they didn’t know what mum’s pensions were) it seemed Social Services were paying around £50.00 and we were expected to pay the top up of around £140.00. When my husband’s mother went into a nursing home her pensions were paid in to make the short fall, and we assume this would happen to our mum’s pensions etc. I’m afraid my brother and I are getting so confused as to what we should do. I’ve spoken to friends who have been down a similar route with their parents, and all have said they refused to pay the so called “top up by a third party”, and that their parents pensions were used to do this top up, or it was met by the Social Services. Can we do that, and if so, how can we be sure mum will be getting the best care she needs? We have also been told that there should be an “allowance” for any personal needs such as the hairdressers etc. I’m sorry to be a pain and have to ask far your help once again, but to be honest it’s doing our heads in!! We are looking at care homes for our mother who has reached the stage where she can no longer care for herself. We had a meeting with the Social Services people to talk things over (our mother was present at this meeting) and when we said her income was over £25,000.00 we were told she would be required to meet the fees. As the fees seem to range between £700-£800 per week it would not take too long before her money reaches the £23,250 – £14,250 where I think she could possibly get help with the funding. We were told that if the nursing home were willing to keep her where she was, and assuming she was granted funding, whatever the difference was, we as her immediate children would have to pay this. We had always assumed rightly or wrongly that the difference would be made up with our mother’s pensions and carers allowance that she receives. I would add that my brother is nearly 65 and I am getting near 70, both of us are married with families of our own. We both rely on our pensions to live on, and have little savings which we know we shall have to draw on to help us during our final years. Can you advise us as to what we should do please? That’s so typical, Carol, that people are immediately told to pay as soon as the authorities realise there is some money. Means testing is always strictly secondary to a care needs assessment. Remember that local authority care (LA) and NHS care are two completely different things in this context: LA care = social care = means tested. NHS care = healthcare and nursing care = never means tested. NHS care is always the first consideration. The first thing that should be done in your mother’s case is a Checklist assessment for NHS Continuing Healthcare (CHC). This may help: http://caretobedifferent.co.uk/getting-the-nhs-continuing-healthcare-assessment-process-started/ The Checklist is just stage one of the CHC process. If, and only if, you mother does not receive NHS Continuing Healthcare funding should there be any talk about money. Also, if she does have to pay, you cannot be forced to pay top ups. Hi Robert – as mentioned above, you cannot be forced to pay top ups, especially if you can’t afford it. Check out the comment for Helen above. My partner(living separately from me) is 65 and has been in hospital for 3 months undergoing treatment for lymphoma in the brain. He started with chemotherapy treatment but has since switched to radiotherapy. We are told the treatment is now palliative. The hospital will be discharging him when treatment finishes in about 10 days and have suggested he should go into a nursing home. We have visited several nursing homes in my home town as I’ll be doing most of the visiting. We’ve been trying to find out what’s happening about his discharge and whether he has been assessed for CHC but can’t get any answers so far. The nursing home we would like him to move to is expensive – approx £1500 a week. We will self-fund if needs be in order for him to be as comfortable as possible, but if my partner is entitled to CHC, is the high cost of the nursing home would like him to stay in likely to make things more difficult? He won’t be entitled to any means tested funding. If CHC is refused initially but his condition later worsens and he became eligible for It in the future, could we be in a position where he would be forced to go into a less costly nursing home to receive funding or stay in the expensive home and lose the funding because it’s too costly for the NHS? Hi Sally – your partner may need to be Fast Tracked for CHC. Read more here: http://caretobedifferent.co.uk/continuing-care-fast-track-assessments-how-to-get-a-quick-decision/ I know of people receiving care in top-end care homes who receive full CHC funding. I also know that some CCGs put huge pressure on people to choose low cost homes. Stand your ground – and remember that if the only care home(s) that can provide the care your partner needs happen to be the expensive ones, and if your partner receives CHC, the NHS must still foot the bill. My mother, who will be 97 in May, has been self-funding since 2008. She has spent in the region of £300,000 on care fees and personal items. She is totally blind, deaf and all of her personal needs have to be taken care of. She has severe dementia which developed when she was 93 at the end of 2012.. She then had to be moved to a nursing home which cost a lot more money. She sold her flat in 2011 (it had been impossible to sell it in 2008 because of the economic crisis at that time). She wanted to give us money from the flat and did so in 2011. However my sister and I, who are 75 and 71 respectively had no idea that our mother would a) live until this age and b) that her money would run out. We have moved our mother to a cheaper care home (recommended by Social Services) but it still requires a top up of £1,500 (after her pensions). The Council say my mother deprived herself of her assets and refuse to pay anything. My sister and I would pay a top up but either separately or jointly cannot pay £1,500 per month. We are extremely anxious. As I understand it, this Government was bringing in a ceiling on care fees of £79,000 in April 2016 but this has now been postponed to 2020. We will not be able to pay anything anymore (because we have been contributing personally but it is impossible for this to carry on). I am worried that when we tell the Care Home/Council that we absolutely cannot pay, they will take us to Court. My 83 year old Dad has recently been in hospital and after discharge, gone straight into Residential care, chosen by me as it is close to me for visiting. He does not qualify for NHS continuing health funding. He has approx £10000 in savings and doesn’t not own his home. He is due to have a financial assessment done but I have been told that despite taking nearly all Dads pension of £1500 per month and with Social Services input, I will still have to pay a top up fee of £105 per week. My Dad is very happy and settled in the home and I am loath to move him as he has Dementia. Is there anything I can do regarding the top up fee? Hi Joanne – if any of the points from the article apply to you, you may be able to challenge the request for top ups. Also, check out the link to ‘more recent’ findings’ at the end of the article. Plus, if you believe that the outcome of the previous Continuing Healthcare assessment process was incorrect, you may want to appeal this. My 80 yr old mother is currently in a Specialist Dementia Ward in a Mental Health Unit under Section 3 of MHA up North ( I wish she could live there forever, all the staff are absolute angels). She will be discharged under a Section 117 aftercare programme. They (Local SS/and the MH Trust) have agreed to move mum to a Nursing home down South as there is no-one up North since my dad sadly passed away, all family daughters, son, grandchildren etc live in London. SS apparently are seemingly part paying for her but tell me she is not going to receive NHS continuing care funding and that my mum may/will have to pay a ‘top up’ as SS up North will only pay the Local Authority rate and the nursing home we finally agree on may cost more. I am confused. A nursing home I contacted told me the Local Authority rate that they come under only pay a maximum of £700 a week and there fees are 1, 200 a week so the top up for my mum would be £500 a week. All advice, information will be greatly appreciated. Hi, my Nanna went into hospital 8 weeks ago due to loosing weight an d become increasingly frail (she went from 10st in April to 5st 11 at admission mid Oct). Social Workers wanted her to go to a care home for respite, to which we agreed (knowing there was a chance she may not be able to return home due to needing care 24/7). She was due to be there for 2 weeks respite and re-assessed before the two weeks were up. Nothing happened and I had to chase it repeatedly. The home she’s in was picked due to her best friend being there until her death and her family being impressed with it’s level of care for Alzheimers (my Nanna was recently diagnosed with this). Although the home is OK, it’s not ideal, it’s too far away from her family and so we can’t visit easily. They never call us, or even called us when she had a nasty fall. The list goes on. I therefore told SS that I wanted to move her to a lovely new purpose build home close to my house. This place costs £950 per week, rising to £1200 (if nursing is needed). The place she’s in at the moment is £550 (with a £40 top up that I was told I had to pay). I’m a young Mum with a 6 month old and a 4 year old, a mortgage to pay and bills to sort. My other half works, but doesn’t earn much. My Mum (her daughter is an alcoholic that doesn’t have any money and doesn’t work). What do they do if we can’t afford the top up? I told the SW that I was looking to move her to this new home and they didn’t seem to keen, despite me saying that my nanna will be self funding anyway due to her owning her own home (worth about £130k). They told me that during the 12 week property disregard the council/Local authority? Would pay a max of £411 (which my nanna must pay £135 – flat rate towards, so basically they pay £411 less £135). and anything above that my nanna would pay. That was fine and I told them we could manage on that. However, they wouldn’t allow it until a meeting of best interest had taken place with a social worker, community care officer and myself present. I had to wait 3 weeks for this meeting, only for them to cancel the day before. I called up multiple times to speak to someone senior as I so desperately wanted her moved before christmas. They were nothing short of useless, failed call back promises etc etc. I eventually spoke to her community care officer (who was the reason for the cancellation) and she said they would permit me to move her, and conduct the meeting in the new year (which would then go to panel), and her 12 weeks of property disregard would start. She then told me that once we sell Nanna’s house, and the pot of capital falls beneath £23,000, I must call up and they will then reassess her and start to contribute to her care. She then told me that this amount would be nowhere close to the £950 a week fee (probably about £450), my nanna would pay the flat rate of £135, and a third party must pay the rest? To which I broke down as I’d done all calculations based on my nanna using every last penny of her money. I was told she’s not allowed to use her last £23k for care fees and only can spend the £135 flat rate (or whatever it may be at the time). Please can you tell me if this correct or am I being told yet more rubbish? I’m am at my wits end with it all and struggling so much. They have thrown a massive spanner in the works for my decision making of where to move her to. Time is obviously running out now to get her moved and settled. What a shambles your Nanna’s care authorities are, Sarah – and it sounds as though the care home could improve, too. If she is receiving full time care, she should have been assessed for NHS Continuing Healthcare funding before she paid a penny in care fees. 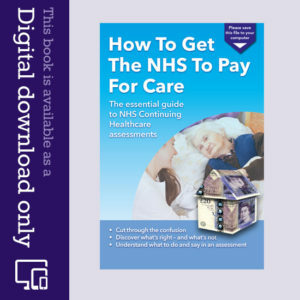 You can get the process started now, though: http://caretobedifferent.co.uk/what-are-the-different-stages-of-nhs-continuing-care-assessment-and-appeal/ This is the only way to know whether she should be paying anything at all. Thank you. Social services in this area have been utterly appalling. They have told me that she definitely won’t be eligible for CHC funding at the moment. Lets say we go down this route and she’s not, is it true regarding her not being able to used her £23,250.00 to pay her care home top up fees herself? Lindy – no one should be put in a position of financial hardship to pay for someone else’s care. You mentioned that there are no top up fees to pay at the nursing home. If the local authority (LA) rate covers those fees, then you shouldn’t have a problem. If the LA rate doesn’t cover them, don’t assume that your mum will necessarily have to move homes, because the local authority may be acting wrongly in asking for those fees, as the report suggests. My mother’s care home has hit us with a £5300 back pay charge following her financial assessment taking 9 months to finalise. Are they allowed to do this? Wayne – Has she been properly assessed for NHS Continuing Healthcare funding? If not, she may not need to pay a penny in care fees or in back charges. Thank you for your reply. I’ve listened to that broadcast and that particular case involved top-up fees for nursing care. Mum’s CHC funding was reviewed correctly and in consultation with us before ultimately being removed (sadly). Our bills during the period of CHC funding stated that the top up was for ‘hotel charges’, ie: for the use of a specific room and did not include any charges for care or nursing services. It is this kind of top-up that we suspect will be billed to us when mum’s funds run out. In my experience such ‘hotel charges’ are often a back door way of care providers wrongly charging top up fees. My query concerns whether or not a local authority (LA) can force a top-up payment in law. My mum has been in a care home for several years. She is very, very happy there and it is close to my home so she sees me regularly. She started there funded by CHC plus a ‘hotel’ top up which she funded herself. That continued until, after another CHC assessment, we were told that although bedridden, doubly incontinent and needing much nursing care, she would have to fund her own care ongoing. The money in her bank account and investments, and the sale of her home has been paying her care home fees and she will shortly be under the £23,500 and so we are thinking about the way forward as her funds eventually reach the low cut off level. The family finances have been complicated. * our inheritance investments being made in my mother’s sole name rather than as a Trust being held for the offspring which interest would be paid to my mum during her lifetime. It’s easy to be wise after the event and when legal advice isn’t clear or competent, one can lose out – indeed as we have discovered only relatively recently, we did. Although our solicitor has managed to “regain” our share in the family home in court by using my father’s will as the legal basis, the monetary inheritance, he says, is lost to us for good. Her home has been sold, and our regained 50% share has now been put into a trust which interest is to be used for the benefit of mum until she dies. Her share of the house has already been spent in care home fees. So has all of the offspring’s original inheritance. We have had to bite the bullet and accept that the few thousand dad left to each of his children has been spent on her care. That has been hard to cope with, but we all accepted that there was nothing now that could be done because the error wasn’t challenged early enough, and my mum’s comfort and happiness was more important in the end. Now that mum is nearing the end of her ability to fund her own care, we find that the LA weekly amount will be too small to cover the care home fees of £720 per week and rising annually. We are told that we must top up the difference. Having already lost our inheritance to her care home fees, this is very distressing and also well nigh impossible. Of the 3 children, only one (not me!) has any spare money at the end of the month and that is already currently allocated elsewhere. So, to the point … can the LA force us to pay the top up, or insist that she moves to a cheaper LA preferred home which isn’t close to her family? Her CHC funding should only have been removed if her care needs had genuinely reduced and only if the proper review process was followed. You can challenge any funding decision you disagree with. At this point it’s important to let the local authority know that your mum’s funds will soon be reaching the £23,250 limit and that the local authority will have a financial obligation to contribute to care costs. If you cannot pay any top up fee, you should not be forced to. See the link in the article above. My Mum has just qualified for CHC (she is currently in hospital awaiting discharge). At the DST meeting a care home was suggested to us – one that we knew was the most expensive in the area for miles (although it is the nearest nursing home to Mum’s home address and where my Dad still lives). Today, when being given the decision that we had qualified, we were told to go ahead with this home, but warned that they have ‘amenities charges’. Is this legal? We did not request this home (although it is wonderful) and my understanding is that CHC cannot legally be topped up. Can we be asked to pay extra? I have been warned by Age UK that if we don’t agree to this the NHS may argue that Mum cannot go in to this home (despite them suggesting it). We don’t know what these fees are yet, we have a face to face meeting with the home in a few days, but the hospital are already pushing us to get a representative of the home in to the hospital to assess Mum – we have refused so far as we want to meet with the home first and clarify these fees. The home have already agreed in principle to take her as my Dad spoke to them recently, and have room for her as and when required. Hi Julie – you’re correct that CHC cannot be topped up, and all care provision relating to all assessed care needs should be covered by CHC. These ‘amenities charges’ could be an attempt by the NHS to effectively ‘cap’ CHC, which is quite wrong. It could also be an attempt by the care home to make up the shortfall between their self-funder rate and the CHC rate. Again, this is not appropriate. They can only charge for services that are separate to any care needs. I have just received a letter to say that the residential care home as been charging the wrong fee so want the proper amount paid and also put the fees up, so need to pay another £950 on top – so in arrears by thousands and was given 4 days to pay. Now received another letter to say i have not replied, to which i did, so I want my mum’s arrears paid. She died 2 years ago; only my step dad there now. So upsetting. If you have a contract stating the original fee, it would be unreasonable for the care home to now demand more – regardless of whether or not they made a mistake. Their behaviour in giving you four days also sounds unreasonable. I can understand that this is very upsetting. Stick to your guns if you can. You may find it useful to perhaps have a solicitor send a letter to the care home. I was wondering if anyone here can give me some advice. My sister and I have been looking after our aunt who is now completely blind and frail. We call her ‘aunt’ but in fact she is not related us, just a cultural way of addressing someone who the family for a long time. As she is blind, we do the shopping and cook for her. We try to go to her place everyday. Lately, she has become confused at times and lost her ways inside her property, resulting in the emergency cord being pulled etc. Anyway to cut a long story short, she has carers coming in three times a day as we are at work and cannot visit during the day (I live 30 miles away). She receives help from the government now and the authority has written to her demanding £50 a week. She does not have the means to pay and although we can chip in to cover this, we are thinking should she require full time care in the future, how can we afford to pay. Will we be expected to pay? The authority is very aggressive in demanding this money. I am actually exhausted as I hold nearly two full time jobs and I cook special food for her (as she can only eat certain food) and sometimes it takes 3 hours and at 3am I would still be cooking so I can pack and deliver it in the morning before I go to work. My sister does the same. My Dad is self funding in a residential care home run by a charity and pays just under £800 for a tiny room without ensuite with bed against a wall and no room for visitors to sit. The care home have mostly larger rooms but they would cost him more. However most residents are LA funded and from what the manager tells me thay do not have to pay top up, in fact the high fee for self funders helps make up the difference! In effect there are two fee scales one for self funders and a much lower one for LA funded. Can they charge my Dad so much more for exactly the same care? Can they just charge what they like? Itsa home bulit in the 60’s I think so can they get away with putting my Dad in such a tiny room? On the plus side they are kind to him and I believe he is well cared for, the place is clean if a little institutional and I dont want to rock the boat as there doesn’t seem to be a better priced alternative providing the same quality of care. His needs are pretty simple, basically personal care and bed and board! My husband was awarded Continuing Healthcare last October. The assessors told me that it was common for relatives to pay top up fees even with NHS funding, so I continued to pay. The home then presented me with a new agreement. The sum of NHS funding and my top up was about £3 in excess of the weekly cost of the room, so they increased the cost of the room by £3 to ‘make it fit’ I challenged this, and they backed down, promising to send a new agreement. This they did not do. In April, they increased the cost of the room by a further £7 a week. I wrote to say they, in fact, owed me money and pointing out that NHS funding should not require a top up. They deny all knowledge of the conversation regarding a new agreement and ignoring my assertion about NHSCHC. Have I got them worried or will they move my husband to a cheaper room? I thought I was being reasonable suggesting that I might enter into a voluntary agreement. Now I feel inclined to stop my standing order. Thanks for your comment, Ann. The assessors’ statement that Continuing Healthcare (CHC) has to be topped up by families is completely wrong, as I imagine you’ve realised. The care home should know this too, and should certainly not be charging you anything if your husband is receiving CHC. The only charges that may be valid could be for things like chiropody, hair, etc. Will we get a choice of where the local authority place Nan? I know we can’t make demands but I would like to have some kind of say like is it local and of a reasonable standard. Everything seems to be moving so slowly and the care home have given her a limited time. Yes, as far as I’m aware you should have a choice. My Nan has been placed in a care home 18 months ago following a fall she has a total of £10,000 to her name. Previously lived with her partner who has passed away. In the will it just states Nan was to be “looked after” but solicitors state she has no claim to the estate therefore they might offer her a £9000 one off payment but no money to pay the back dates fees for care £20,000. Already the care home have forced her out of her room today to a less desirable room and now given her 2 weeks notice to leave. Her partners home has been sold earlier this year and In summary she has no home to go to. Non of our family are in a position to top any care fees as either retired or lack of finances. In a massive panic got a very upset 94 year old who faces being put out in the street with no where to live. Where do we go from here who can help and what do I need to ask for. If your nan has only £19,000 to her name (£10,000 plus £9,000) then the local authority should be stepping in. If no one else is able to pay top up fees, then they can’t be demanded. The local authority must find a care place for her – and if she hasn’t already been assessed for NHS Continuing Healthcare funding, that should be a priority. My 94 year old grandmother was independent up until a fall in February, when she was deemed suitable for rehab by the hospital avoidance team but not by the independent living team so was passed to the duty social worker to place as an emergency placement. We paid for a physio to get her back on her feet and she was fit for discharge in April but it took 5 weeks to arrange a care package in which time her health deteriorated. She has had concurrent infections, is frail with dementia and is now no longer able to get out of a chair herself and we are waiting for a panel decision concerning funding. She does not own a property but had £26,000 in savings so we were expecting to pay for care. No contracts have been signed by the council, my mother or grandmother and I am being told that the council deduct my grandmothers contribution from their standard rate of care which is £404 which means there is a deficit of £220 a week which they say needs to be met by a third party. My mother is unable to pay this and there are no homes in the area who can provide at the standard rate. The social worker is saying because my mother accepted the placement and was told there would be a financial assessment , and top up fees are negotiated by the home she has to pay it. There were no choices made, and the decision to place my grandmother in the care home was taken by a social worker. The length of time that this has taken and the fact we only found out about top up fees last week has completely stressed my family. IN addition we are being told we are not able to use the money that my grandmother has (when she goes under the threshold) which sounds ridiculous, when she has the funds there to pay. I am collating all the information against legislation, the care act but am such as to find out why we cannot use her private pension and monies. All advices gratefully received. Dad is late stage Alzhemizer’s. Although mobile, he is incontentent, non comprehensive and doesn’t know us but he still has his own sense of humour. Up untill May ’14 mum and me cared for him at home. We were not given much information about anything although we had a social worker until i became ill with exhaustion and desperately needed a break as my parents live in an annexe we had built on our home 12 yrs ago. So our social worker arranged an assessment of dad so a suitable respite home could be found. Along with the elderly person assessor they agreed dad was high level nursing care and our choice of home went from around 50 to 4, none being in our local area, and as mum can’t drive it means that transport has to be provided by ourselves. Anyway eventually mum agreed to a 2wk break from him. Respite went well and we continued caring for dad at home but in June 14 mum had a heart attack and that was it. Our new social worker decided mum and i could no longer care well enough for dad, and her duty of care was to place him back into the respite home. She managed to agree with the manager that instead of paying £330 a week top up mum could pay £90. Dad was getting that funding and with his state pension and two private pensions of £200 and £50 a month respectively they managed. They also had savings of £23.000 and £8.000 at the time. The distance meant mum could only see dad twice weekly. Then dad was also assulted by another resident in the home and the social worker wanted him moved asap and managed to find a space in a local home which we had originally been told wasn’t suitable for my dad as it wouldnt meet his needs. But as it was local we agreed to the move. The social worker explained the top up was more around £300/£400a week but she would try and get it reduced. Then she left her job and another social worker came along who decided that as dad was now in this home he didnt need the nursing funding anymore. She also told us we would have to pay back what they had been paying since August 14. So in April 15 we were told we owe £5,000 to them and, because they beleive they missed out on some of their calulations in the original assessment, our top up and third party payement would now be £600 a week to add to care costs. So my mum’s costs increased from £1645.78 a month to £2237.58 a month in last 6 mths. Plus we owe £5,000. Not surprisingly mums saving have all gone now and when they came to assess dad and her in March for their new payement they told mum she needs to apply for pension credit because her pension is not enough by law for a peron to live on yet she is supposed to find £560 a week to pay for dad !!!!! I really dont know wat to do next. Mum’s health isn’t great. I try and not worry her with all this but i have to because i dont know how we will pay the July care bill and I dont know who to turn to for help and advice. All my parents did was work hard and raise us four girls. They never claimed anyrhing in their lives but now when they need help there doesn’t seem to be any. None of us can afford to pay that amount a week. Do i speak to the home? i really dont know what to do. You may need someone to advocate on your behalf, Fiona, but first see my previous reply to Susan, and the links. My dad has dementia and last year was found collapsed at home. He was unconscious for some time which led to oxygen deprivation. He was in hospital for 4 months and as he recovered he would become very distressed and have angry outbursts. He is also incontinent and has diabetes. He was moved into a nursing home straight from hospital just before Christmas. It was a unit for men with difficult behaviour, chosen by the LA. My sister and I don’t have power of attorney, but I am now applying to become a Deputy of the Court of Protection. Dad has over £23,500 in savings & owns his house, so has to self-fund his care, but apparently this is being deferred, because we can’t access his money. We haven’t had anything in writing about this though. Dad continued to recover and an assessment was carried out on Dad in March – which I believe was a CHC funding meeting, with GP, social services & care home staff. We were told dads conditions were not severe enough to be eligible for any NHS funding. As Dad recovered further he calmed down and is behaviour is now “typical” of dementia. In May his Social Worker decided Dad needed to be reassessed as she felt he didn’t require nursing care. The assessment was done and it was decided that from the end of May Dad needs EMI residential care, not nursing. At this point my sister was informed that the nursing home he is in requires a top up fee – £131 per week between March and end of May; and after the assessment the top-up increased to £325. We had had no official notification that a top up was required – when he first went there my sister chatted to a member of staff who said there is usually a top up fee of £130, but since nobody from the home or the LA told us, verbally or in writing, we assumed it didn’t apply in dads case. I have now had to sign a 3rd party agreement with the LA to pay for the top-up. At the moment it is more than my weekly wage. We are looking to move dad to a residential home, but this isn’t an overnight job, and we are worried how we are going to pay this top up. As we didn’t chose to put dad in that nursing home is it down to us to pay the top-up? I can understand perhaps that we should pay it from the end of May because this was when we informed of its existence, but have been waiting for a vacancy to become available at a local home. Susan – you wrote, “Dad has over £23,500 in savings & owns his house, so has to self-fund his care.” Your father’s money is not what determines whether he should pay for care. Instead, it’s the degree of his care needs only that determines who pays. Also, no one can say he won’t be eligible for Continuing Healthcare until the assessment process has been carried out. Be sure to get that started as soon as you can: http://caretobedifferent.co.uk/what-are-the-different-stages-of-nhs-continuing-care-assessment-and-appeal/ and see this page also: http://caretobedifferent.co.uk/paying-care-home-fees/how-to-get-assessed-for-continuing-care/. This is the first thing that should happen before he (or you) pays a penny in care fees. Also, if paying top up fees puts you into financial hardship, you shouldn’t be asked to pay them. But the Continuing Healthcare assessment is the first thing to get done. It doesn’t matter what kind of care home your father is in – NHS Continuing Healthcare is available regardless – as long as he meets the health criteria. My Father is currently in a Nursing home as a self funder, however his savings fell below the threshold. The LA agreed to backdate this payment to March, when his funds went below, with FNC contribution being paid I believe. The issue is that this care home is not in line with what the LA are prepared to pay, as they have their own block contracts that are cheaper with other homes in the area. He has lived here for 3 yrs and the Social Worker came to reassess him, advising that if the required top ups cannot be made, he will have to move to a cheaper home. She advised that she would do a Mental Capacity and best interest meeting with GP etc being involved as he has Dementia. I know the Care Act has come into law, though I have been trying to research on it, I can’t get my head around it. Can the LA lawfully enforce my Father to move to a cheaper care home, now that his funds have dropped below the threshold and he cannot pay top up fees? Hi Poppy – your father can’t pay the top up fees himself; it has to be someone else who pays them. Moving him to a cheaper home may not be in his best interests. If you weren’t present at the Best Interests meeting, I would ask for a new meeting to be held, as things may have been decided and discussed that are not, in fact, in his best interests. There should also be paperwork to show that a Mental Capacity Assessment was carried out correctly, and indicating why exactly this was done (see this article: http://caretobedifferent.co.uk/mental-capacity-assessments/) You may need some help to stop the LA forcibly moving him. If you need any contact details for an adviser, feel free to contact us via the link at the bottom of the page. Hi my mother has just gone into a care home costing £700 per week she is currently self funding but only has 40,000 what happens when the money gets to 23,000. As I understand she is entitled to £400. We would have to make up the difference once her funds drop to 23,000 – is this right? The first thing to do is to het your mother assessed for Continuing Healthcare (CHC) funding. This should happen before anyone starts talking about money and paying for care. An assessment for CHC is the only way to know who is actually responsible for paying for care, i.e. the NHS or the local authority. It is only if it is a local authority responsibility that your mother should be means tested. If she does legitimately have to pay for her care, the local authority would provide some assistance once her money goes down to £23,250. Keep in mind the new thresholds coming in next year: http://caretobedifferent.co.uk/the-care-act-and-nhs-continuing-healthcare/ But first and foremost she should have a Continuing Healthcare assessment. When my mum moved into a nursing home 5 yrs ago she had her own private room and the top up fee was 750£ a month we had set aside £20’000 which is all the family had. That lasted for two yrs when the money had gone I said mum would have to moved into a shared room where there would be no top up fee. However they asked us if we could manage £240 a month then she could stay in the room. We agreed and have been paying that amount ever since. In January this yr mum qualified for continuing care backdated to june 2014 which meant all mums fees would be payed except the top up, so we should have got mums contribution towards her care ( her state pension) refunded to us, mum passed away in Febuary , yesterday I received a letter saying that he would be keeping all mums expected refund roughly £3000 I am so angry and have told him we shall be fighting this decision . I also thought that it was against the law for the person in the home or their spouse to pay for the top up, so by him keeping that money it will be mum paying for her own top up. The local authority should repay all top up fees paid since June 2014. For them to keep it would effectively be theft. Also, it should only have been your mum’s money that was used to pay the actual care fees (apart from top ups) – not money from any other family member. CHC cannot be topped up – and the NHS must cover all assessed care needs. No top ups should be requested by the NHS – and for them to do so would be illegal. My father in law was placed in a care home in dec 2013 straight from hospital after having falls at home. He had spent time in this care home after hospital before but returned home on those occasions. He now cannot walk and is doubly incontinent. he has diabetes and kidney problems. No checklist or CHC assessment was done before the financial assessment was put in place for the care home. He is paying fees of over £700 per week. He is funded for nursing care and paying 254.00 per week with the remainder being deffered while his house is sold. I feel he should have the CHC assessment but have been told by his doctor there is no point as he wont qualify. Should i go ahead and ask for the assessment through the CCG? Because she has mental capacity they will not do FNC but surely it’s her well being and safety that should matter more. That sounds like a very precarious situation, Deb. My first thought is that there could be a safeguarding issue here. Also mental capacity has nothing to do with whether a person receives Funded Nursing Care. This article may help: http://caretobedifferent.co.uk/mental-capacity-assessments/ Funded Nursing Care is about care needs (and is awarded only after a proper assessment for Continuing Healthcare), whereas mental capacity is about whether a person can make a specific decision about something. The two things are quite different. You should not be put into a position of financial hardship yourself, Liz, and the Independent Age report mentioned in this article will help you back that up. My mum has dementia and Parkinson’s and is currently in a residential home on short stay for 4 weeks as she was not deemed able to return home after being discharged from hospital. She has also deteriorated further during this period . Mum has a house and is just over the savings limit so we are assuming she will be self funding after the 12 week disregard of property. It looks like she will retain the Attendance Allowance but what will happen to her pension credit? My mum has dementure and has been placed in a nursing home because she wanders out of the home and is unsafe, social services have said she is on respite care which they keep putting ongoing as they said it needs to go to panel for long term. Respire has been 8weeks so far. I have to make a top up fee of £480 month. Is this correct – my mum only has her dwp pension of £280 a week which will go down a big drop as attendance allowence etc will be stopped and she will be left with £145 of which £125 a week she has to pay towards the home. The council say they only pay 500 a week and myself and my mother have to pay the rest as a top up £391 week. Is this correct? I don’t work and my husband is on a low wage. My mum is in a residential home due to having dementia. The weekly private cost is £605 the non private rate £399. Mum has less than £23250 but earns £440/ week in pensions including attendance allowance. I have just been told she will have to meet full costs because of her income, despite this meaning she has to use £800 plus a month from her savings. To complicate things even more I moved in 11 years ago to care for her due to her arthritis, however only claimed carers allowance when dementia required more of my time. I had to leave nursing early so I am only 58 so there is an issue re the house for 2 years. As a result of an over the phone incredibly stressful assessment a few weeks ago I now have double vision as a result of the assessment but more the attitude of the assessor. Should they have included attendance allowance? And can they make mum use all her savings? Jill – read this page: http://caretobedifferent.co.uk/nhs-continuing-healthcare-faqs/ as it will help answer your questions. Your mum’s money should be a secondary consideration to her Continuing Healthcare assessment, and the link will highlight for you what should and shouldn’t happen. My husband has been in a Care Home since May 2014, when the Care Home Manager told me she felt he was eligible for CHC. We duly applied and he is eligible for an assessment. How long should we reasonably have to wait for the assessment? I have been told it can take up to a year. We are still waiting. after about 7 months. Jenny – he should have been assessed as soon as he went into the care home, and the process from initial assessment to final decision should be made within 28 days. The person who told you it can take up to a year is talking nonsense, and this is possibly an attempt to avoid the assessment process taking place. I’d suggest a very strongly worded letter to the CHC team or care home (depending on who is actually causing the obstruction), or the CEO of the Clinical Commissioning Group, and copy it to the GP plus anyone else involved in your husband’s care. Last week I participated in a meeting with an NHS assessment nurse and my father, who is in a nursing home in Gillingham, Kent to see if the NHS would contribute to my 92 year old fathers nursing fees. She produced pages of a tick box score system which apparently goes to a local panel of ‘professionals’ for them to decide if they would provide funding. One has to question just how ill do you have to be to meet the ‘criterion’? it was quite clear from the start that the scoring method was crudely weighted to ensure the NHS gets away with paying nothing. For example; my father, double incontinent and bed ridden On that page the score was ‘MODERATE’ as it was for most other pages as there is a higher level of illness with the classification of ‘SEVERE’ In this case, to qualify you have to have a daily surgical procedure for your incontinence! How can a government department get away with such cynical trickery and treating people as idiots? The meeting was a charade, a waste of everyones time and I wonder how so called ‘professionals’ can bring themselves to participate in such a dishonest sham. Help! The Care Home say they don’t care what the NHS says and they have put the fees up by £120 a week. My father has already sold his home, funds are running low, what are we to do? Any ideas? LAC is clear that ”only when an individual has expressed a preference for more expensive accommodation” can a relative be asked for a top-up14. If this is being considered, LAC is explicit that relatives must be “able and willing”15 to pay the top-up. however if her standard care which should be fully paid for means her social and psychological needs are taken into account then being closer to her family would be hugely beneficial to my nan. The first thing that should be happening is an assessment for Continuing Healthcare. This should happen before anyone asks about money or top ups. My Father has recently moved into a care home of his choice after he became too much for me to look after, this was following coming out of hospital after rest bite from a broken hip.. I was until that point his main carer. Since moving into the home the LA have contacted me to say that because he is in an expensive home that they may need to move him once he drops below the 23,000 limit. My Sister and I have found a lovely care home which is 325 pounds a week cheaper. However he insists that he wants to stay put. Basically if he goes below the 14,000 bottom threshold can he insist on paying this care home until he has nothing at all left. And if that then becomes the case won’t they then be forced to move him anyway if he has no money left at all? My sister and I are at a loss because if he uses everything up then we will have nothing for funeral costs when the time eventually comes. The LA thankfully can’t touch the house as it was put into my name 15 years ago. My father is currently in care with Dementia, he is currently privately funded however he is about to hit the financial threshold. We have had an assessment done by the council and are awaiting a financial assessment. They have told us that we are not allowed to touch my fathers money. I am his power of attorney and am confused. If my father has nearly £400 a week coming in in pensions, attendance allowance etc then why are they asking for a top up from myself when my father has the finances to cover it? Why do they frighten the family insisting that we have to pay when I have no way of finding the additional finance. I have 2 young children to support and as harsh as it may be they are my priority. Without knowing all the circumstances: If your dad was placed in a Nursing Home that was very expensive compared with others locally then it might be being argued that the council will not pay the entire cost because they would not have placed him there themselves for that reason. Have a look at other homes that are funded by the council. I am sure that Angela has a better explanation. However I have refused to pay top ups for 6 years for two relatives on the grounds that I cannot afford it. By the way, do not let the council carry out any financial assessment of you and your family…. They can only do that for your dad. It is not about your ability to pay for your dad’s care, it is about his, unless of course, you can get the NHS to pay for it. For someone in full time care with health needs, a Continuing Healthcare assessment is paramount and anything to do with a person money, the means test threshold, house or anything else financial is entirely irrelevant. If you have financial power of attorney, there should be no reason why you can’t act on your father’s behalf. Although I don’t know the details of your case, I would be extremely suspicious of anyone in the local authority saying you can’t do that – assuming you are acting within the rules governing powers of attorney. If top up fees are genuinely required, you still should not be forced to pay them if any of the issues in the above report apply. Keep in mind also, in case it helps, that there are people in some of the most expensive care homes who receive full NHS Continuing Healthcare funding. In retrospective cases, an effective argument to use is that a person who is found eligible for Continuing Healthcare on one particular date is unlikely to have been ineligible the day before. Therefore there are likely to be good grounds for a retrospective claim. Tell the Continuing Healthcare team that you want to reclaim care fees already paid. Although there are restrictions on how far back you can claim, in this scenario it may still be possible to secure a year’s worth of backdated fees. It has always seemed odd to me that if the LA want someone in a home, say on Jan 1st 2010 because of their failing health and inability to cope on their own, then if a CHC assessment possibility is not informed to the family or is delayed, even two or more years later it could be argued (perhaps in a court), that if the original needs recorded are the same needs outlined at the delayed CHC assessment then the whole thing should be backdated. After all it is seldom the fault of the sick person; because the CHC funding system is designed to ensure that patients do not get funding if they do not have the requisite needs. The patients are probably blameless if the NHS does not act early enough. Just an opinion, you understand. My Dad is 91 and has vascular dementia, a leaky heart valve, bladder problems and glaucoma. He lives with his partner, (he’s a toy boy!) of 97 who is registered blind. They have been together 13 years and live 250 miles away from his family. Recently he had another fall and was hospitalised, we (his own family) feel unnecessarily for almost a month simply because his partners family felt he was too much of a risk to send home due to two unsubstantiated ‘aggressive’ moments in hospital, which we believe were him flailing his arms when he was trying to dress himself and a nurse interfered and one where he banged his fist several times on his bedside table at night saying he wanted to go home. Partner and family appear to want to cast him adrift not want him to be at home any more. We would like him to come back down to a home near us, he doesn’t want to move at all believing all is well at home. He has been deemed capable of making his own choices and decisions though he does get confused very easily and is wobbly on his legs so he risks another fall, so social services can not force anything upon him and have had to put in a care package to ensure he receives the right medication etc. The family are not in a position to afford top up fees if we can persuade him to go into care and leave his partner who appears to want him gone now that he is inconvenient to them, hypothetically, if we can find a home between all our locations (sister doesn’t drive) will the LA provide full funding as he does fall into the capital threshold for funding? Before seeing if the LA will provide funding, it’s important to consider whether the NHS should be providing funding. If your father needs full time care and has health needs, which he does, he should be assessed for NHS Continuing Healthcare funding. This is the only way to determine who is responsible for paying for his care – and in the Continuing Healthcare assessment process his money and financial situation (and that of his family) are entirely irrelevant; it’s about his health and care needs only. I am so sorry for your situation. Do not pay any of your money at all. It is not required. Your mum’s savings should not come into it. They are too low. Nor should anyone at social services have done a financial assessment unless it has been legitimately shown that a full NHS CHC assessment was not required. I would ask for one if they have not done what is called a checklist upon discharge from hospital. Good luck. my father in law has sadly just died, from advanced parkinsons’ with dementia on top…an ongoing battle about top-up payment has been ensuing for months, and we recently had an agreement of CHC funding..for the LAST WEEK of his life only ( end of life care), I am appalled, and aim to appeal..he has been unable to walk, talk, eat normally,use toilet, etc, requiring full care ,for several months. Any advice as to how to get this ‘award’ backdated -we have been presented with a nearly £5 k top-up bill by LA, not The Home, which is confusing too.This due to us being unable to pay it at all over the last few months. My Father has just been moved into a care home and my Mother has had an Assessment today carried out by the LA and she is in a real panic now. My parents own their own property and have no more than £7000 in saving my father has an RAF and state pension, they have told her my father has to have half of this to help pay towards his care and they will take £230 per week plus £100 spending money per week. She can’t manage him at home he is unable to walk, is fully incontinent and has Parkinson’s. Please can you give me any advise. Think in terms of the council and the NHS. Two organsations and not one are responsible for the potential care of your dad. You need to think in terms of the NHS paying for everything. Or the council paying for part and your dad paying for part. The NHS can contribute a nursing component only….. if the council provide care and if the NHS agrees that there are some registered nursing needs below those that would require the NHS to pay for all of the care. Sadly you and your mum need to start thinking in terms of her being to a degree financially separate from your dad. Has the NHS carried out a NHS CHC assessment so that they might be shown to have to pay the entire cost of your dad’s care? If not, and you believe they should have, then make the council cease all financial activity. They are not allowed to consider someone’s finances until the NHS has assessed their potential patient first. Hi Andrea, When my mother went into a nursing home in February, my Father underwent an assessment. The house was not included because he was living there. Then they were both assessed as single people. Half of the joint bank account went into his name and half into mums. Mums pension went with her and Dads with him and they were then both assessed for pension credit. The local authority paid most of mums fees with her pension etc making a contribution. She was left £25 spending money a week. As I was unable to get power of attorney I became mums appointee and now control her pension etc. I did not know about the NHS assessment and am currently moving towards getting that NHS assessment. When a person moves into a home they really do need to be assessed as a single person, which means your mum could well loose the main part of Dads pension but she should get pension credit and maybe other benefits as well. Take steps to get power of attorney for both of your parents as soon as you can before they loose the ability to agree to it. I really should have done that. Good luck. My mum lives in a nursing home. Her care is paid for by local authority. My mum has to top up – we applied for NHS funding but were turned down. We appealed and lost that appeal. What should we do next? We are in the process of sorting out a care home. The social worker has found 3 homes, 2 within the funding charges and 1 £200 more expensive. The first 2 will take my mother 1-2 hours to get to on a bus to visit and the 3rd is on the doorstep. They are looking for top up funding from her to enable him to go into this preferable home. My mother will not be able to afford a top up and will be on pension credits herself after his admission and is beside herself with worry about him heing too far away to visit him. Is the council not obliged to fully fund this preferred home to suit his emotional needs as well as her ability to visit him? They havent been apart in 58 years of marriage and this prospect is extremely traumatic for her. Any advice please? Hi Deborah,I assume that there has been a NHS checklist or CHC assessment done before this need to send your loved one to a home? Are the charges of the one nearest similar to others in the immediate area? If they are then there is little that the Council can do regarding so called top ups. Have a look above at what Angela wrote about the “Choice of Accommodation Directions (LAC(2004)20”. They inform the rules regarding charges and payments for accommodation and and so called social care. The rules will give you an understanding of what the council SHOULD do as against what they tell you they will do. Thanks for your comment. Keith. I would go back to the social worker and ask him/her how the request for top up payments can be justified given the Choice of Accommodation Directions (LAC(2004)20. I don’t know your specific case, but I’d hazard a guess that he/she won’t be able to justify top ups. I would really appreciate any advice in dealing with a similar matter we are facing. We have an elderly uncle and auntie who are in a care home. Our auntie is very ill and bed ridden, and our uncle who has been caring for her prior to entry into the home is now also very ill (he is mostly blind, very weak and cannot now look after himself. He is also in the home with his wife, which is very important as they need to be together. Without each other they will not survive. The care home are saying they will need to make topup payments from Sept as they have a small property. An assesor came over to establish whether our uncle can be sent home, and has advised he can be. This is a horrifying suggestion, as he can barely walk, is blind, and very frail. He cannot look after himself, and all family support locally is as frail as he is, so cannot provide the necessary help. Is there anything we can do to appeal this decision and kerp them together in the case home funded by the nhs? Both my parents are in care, one funded the other, at the moment , self funded.The care home they are in is closing and the LA has had to find other accommodation.The only accommodation has a top up.I want them to be in a home together but the top up may be too expensive.Any advice, the move is imminent! Should I tell the Social worker that I cannot afford this and have them start over again? Thanks for your advice. He’s been quite difficult to place as he’s got some behavioural problems – possibly early dementia but no one’s keen to diagnose this. He was constantly pressing his buzzer in hospital and shouted and hollered if no one came straightaway. He was turned down by one care home as they thought he’d be too disruptive for their other residents. He moved into a nursing home for a trial period of 2 weeks yesterday (the home were unwilling to commit to longer because of his problems) and all seemed to be going well until the evening when they rang to say he’d had a fall, was unhurt but was getting angry and demanding to go home. I suggested they try and calm him down and see what he’s like in the morning – so far today, no news. It makes me a bit mad to think how much they charge in these places and still phone us to find out how to deal with him! My father-in-law is now elderly and is currently in hospital falling a series of falls at his bungalow. Social services are pretty much forcing my father-in-law into a care home because they feel he is unsafe to return home, although his wish has always been to remain at home. I am horrified by the amount of power social services seem to have in deciding someone’s future. Most of the care homes they are pointing us towards cost £1000+ a week and I am alarmed to read that they may ask his son (my husband) to pay something in the order of £500+ a week for top-up. What does the future hold if we refuse? Hi Sue, I am so sorry that you are all going through this. Has your FiL had a NHS Continuing Healthcare Assessment or a checklist before any recommendation to go into a home was made? Do not let the Council carry out a financial assessment of your FiL if he appears to have needs based on illness or even complex or intense so called social care needs and most certainly do not let them know of your own resources. They cannot force you to pay top ups. Has your FiL had any kind of social services occupational therapist carried out an assessment of the bungalow? They are required to have a good look and to provide advice and in many cases equipment such as hand rails, alarms, even to the point of assisting with walk in showers. Has your FiL tried a wheelchair or a frame? Perhaps that would be a solution to falls? I prattle on without knowing him and his situation but perhaps he is capable enough to use a wheelchair. Even an expensive powered type would be far less expensive than a care home and he could perhaps have his wish to stay in his home and also be safe. We have recently begun such a process with my mother in law. She has started to become unsteady due to pain in her legs. Sorry Sue I forgot to add. If your FiL is in hospital then why are the Council trying to send him to a home? If it is simply so that they can get him out of hospital for the NHS, then I would be very concerned that he appears to require a nursing home but, that the Council will expect him to pay for what could be NHS care. It sounds to me as if the Council already know or have guessed your FiL’s resources and have “helped out” the NHS at no expense to themselves either, because your FiL might be able to self fund. Thank you for your advice. He has had his bathroom converted to a wet room with sit down shower and has been using a frame for some time but is now pretty unsafe. He went into hospital following several falls (more or less sitting down rather than hurting himself) and they’ve said he is unsafe to go home and that he has as many visits from carers as he is entitled to (4 times a day). He doesn’t have a wheelchair, although uses one in the hospital. I’m not sure he would be safe to use one on his own at home and unfortunately doesn’t have enough income to be able to afford private care. He has already had a financial assessment I’m afraid and we pushed them to do a Continuing Healthcare Assessment, which they seemed reluctant to do at first but have now completed. They told us they wouldn’t be recommending him for funding but then changed their minds the next day. He is happy to try out a care home although we haven’t been able to find him a place yet – and have only just found out that social services should be trying to find him places (they have told us it’s our responsibility which I now understand is incorrect as they’ve assessed him as needing a placement). Even the hospital had a go at my husband for not finding him a place quickly enough! Last week social services told us he would have to be placed straightaway into self-funded permanent residency without a trial period – we said no and have since read that anyone considering moving into care is entitled to a trial period. We don’t want him having to sell his house until he’s at least had a trial – and he doesn’t have any other savings. It’s all getting a bit messy! Sue – be wary if anyone chooses a care home for you, as there will almost certainly be a hidden financial agenda behind that choice. I always recommend that the family makes the decision about a care home, and I have helped people argue that point when health and social care people say the family has no choice. Over the many years that I’ve been helping clients through the funding process – and fighting my own family battles for funding – it’s been increasingly apparent how little ‘care’ there is in our so-called care system in many instances – and your situation where the hospital had a go at your husband, is another example, sadly. There is a huge conflict of interest for care homes, as they will want ‘self-funders’, not NHS funded residents. Refuse to pay the top-up fees if they leave your own finances seriously compromised. If they have not very recently changed the rules, they cannot ask a spouse to contract to pay top ups. That is what my Council’s last documentation stated. It’s not about having to refuse if you are a spouse, it is about never being asked in the first instance. In line with some of the matters discussed on this blog: If the Council accept that care is within their legal remit to provide whilst cosy-ing up to the NHS and hiding the true cost of the NHS, then they should take up the slack in all but the most expensive of homes. If you require “extras” that they do not want to pay for then perhaps you will need to pay an additional sum. It should not cover Nursing care shortfalls or be extra money paid when compared to what others get for the same Council assistance. With £108.00 Funded Nursing Care Contribution that means that the council option is £519.00 some £421.00 less per week than the self funded rate for exactly the same facilities and no nursing required because if it was, that component would be paid by the NHS, self funding or not. Or £290.00 less than self funding for the same facilities, without Nursing care at all, needing to be charged because in this example it is included in the NHS CHC funding. This is the case at my father in law’s nursing home. It is despicable. Keep in mind that the Funded Nursing Care payment is currently £110.89/week (from 01/04/14). I would, but I fear that he will have to move to a cheaper home. This one is lovely, he has a garden view, the staff are kind and it is within easy reach so I can see him almost every day. The social worker was adamant that I be able to afford the top up, so obviously Council, NHS and Home all collude in this. Has the council done an analysis of your resources? They are always trying to see how much my dad has so that they can “ensure that he has all of the benefits that he is entitled to”. That is of course nonsense; they really want to know if they can tap him for a contribution on a voluntary basis. Have you discovered what the LA or NHS actually pays the home? Then have you asked the same questions of a good number of the other homes locally? Then you should get an idea of if the concept of the top up (because that is all it is), is even valid. My husband,aged 68, went into a care home in February this year. Wirral Borough Council will expect me to pay nearly £300 a week and I have to pay another £90 in top up fees. After paying the bills, I will be left with about £150 a week for food, clothes, petrol to get to see him and everything else. I asked the assessor what I was supposed to do if I needed major expenditure on the house or car. She asked “Haven’t you got any savings?”. I am going to fight to get CHC for my husband, but I get the impression that the home are sabotaging my attempts. Am I cynical or is it because they fear not getting my top up fees if it should be awarded? The care home my mother moved initially moved to tried to get my elderly father to agree to a ‘pledge for a charitable donation’ for when her money ran out. My father did agree to it but wrote a covering letter to say that it would only be if his circumstances remained the same. He died. I was then told by the home and LA that my father had agreed to a top up. I said he never signed any such document and that he was led to believe it was a voluntary charitable donation only. I refused to pay the top up fee on the grounds that I could not afford it, the LA would not pay so my mother had to leave the home. That sounds awful, Edwina. If the top-ups had been agreed by your father then the LA should have been able to produce specific written evidence of that – which of course they couldn’t. The Local Government Ombudsman may be your next step if you want to take it further. My recollection is that a spouse cannot legally make top up fee contracts except in very limited circumstances. (Possibly due to having enormous resources them selves and setting some aside). As such they should never be asked to top up. We did quote this rule to the Council (it is in their Care blurb), and they unusually quickly agreed and backed down. It would be impractical for the average person that has lost the spouse’s pension, private pension etc. that allows them to pay the bills, to actually and genuinely contract to pay for the lifetime of their spouse in care. What would happen if my father for example, passed away and left his entire estate to charity? The contract to top up his wife’s care would be unenforceable upon his death. So that being the case it would be impractical to even begin such a contract. I have read that if CHC is agreed then the person may have to move home to somewhere cheaper. I have also read that relatives cannot pay the difference as care has to be free at the point of delivery. Then I read about top-up fees and I am feeling confused. Ignoring for the moment the rights and wrongs of top-up fees, is it the case that a family may bridge the difference between what a home charges and what is paid under CHC? Thanks for your comment, Simon. Top-up fees relate to local authority care/social care and do not apply to CHC funding. So, even though you can’t top up CHC, the NHS can’t simply dictate what care home a person has to be in if they receive CHC. I have known people receive full CHC funding in homes that cost over £1000 per week. Thanks Angela – I am gradually getting my head round this!